Hi there! Today’s post is about a face mask that I recently tried – Anatomicals Farewell The Scarlet Pimplehell Deep Cleansing Mud Mask. This mask is 1 of the 3 masks in Anatomicals’ Now You’re Ready To Face The World mask set. I’ve already reviewed the other 2 masks from the set, and you can read the reviews here and here. I think that Farewell The Scarlet Pimplehell is a great name for a face mask. It sounds fun. And it sounds promising. I’ve tried this mask and I’m reasonably happy with it. It’s a fairly standard mud mask. It doesn’t smell very fancy, and its colour is grey. But it cleanses my skin nicely, and that’s the most important thing. All in all I’m happy with Anatomicals’ Now You’re Ready To Face The World trio mask set. I’m pretty sure I’ll buy the set again. 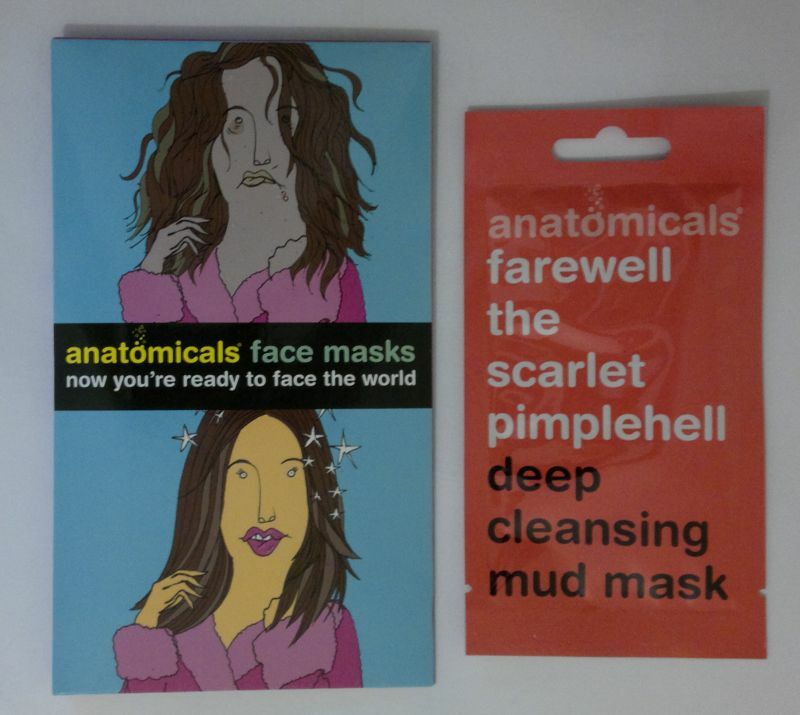 Anatomicals’ Now You’re Ready To Face The World trio mask set is available for £3 at Superdrug. I paid £2 only for the set (Save 1/3 offer). Hi there! 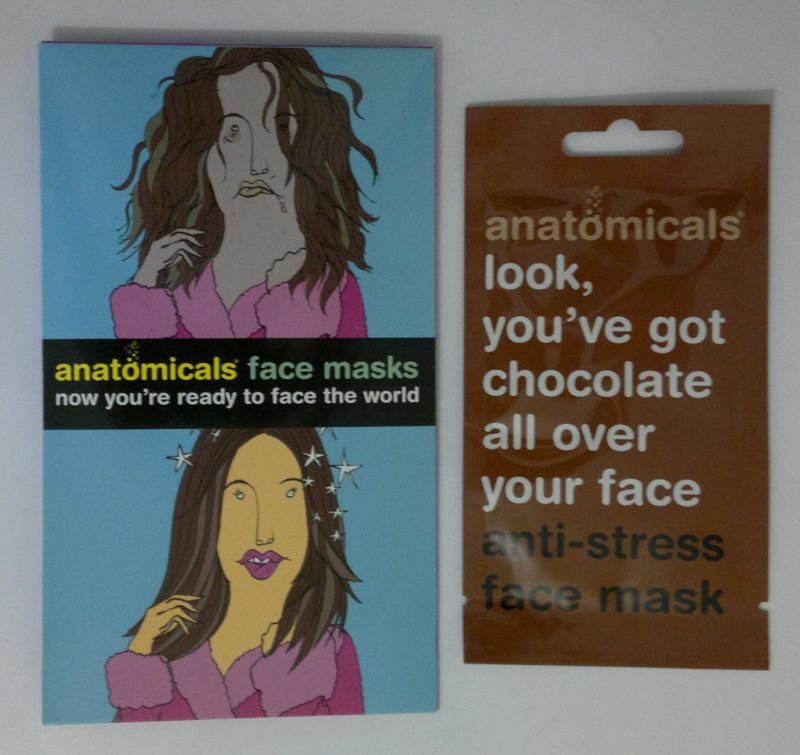 Today’s post is about Anatomicals Look You’ve Got Chocolate All Over Your Face Anti-Stress Face Mask. 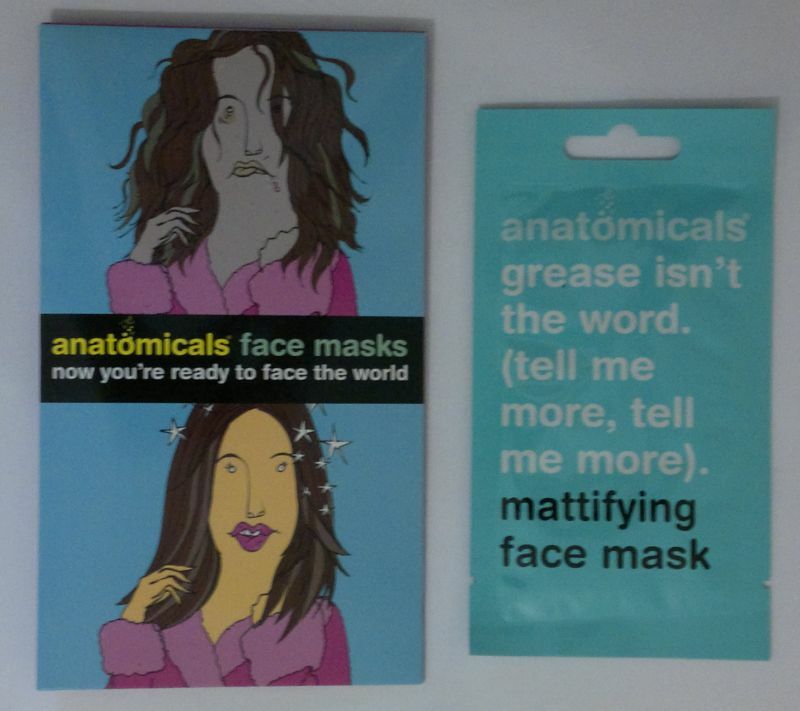 This face mask is part of Anatomicals’ Now You’re Ready To Face The World face mask set. I’ve already reviewed one of the masks from this set. And you can read the review here. The mask made no visible difference to my face. However, it made my skin feel cleansed and refreshed which was really nice. So in summary, this is a good mask. I hope the third mask from this set will be equally good or better! I hope I’ll be able to try and review it asap. This Anatomicals mask is a regular clay mask. It’s not as thick as the masks that I’m used to (Montagne Jeunesse, Superdrug, Boots). However, I’m OK with this. This mask is mint green in colour (which looks quite cool), and I would describe its fragrance as soapy – it smells alright, but I don’t love the fragrance. I’m satisfied that this mask cleanses my pores properly, but it doesn’t have a mattifying effect. But then, how could a rinse-off product really have a mattifying effect? Anyway… all in all, this is a reasonable face mask. If the other 2 masks from this set turn out to be equally good, I can definitely see myself buying this mask set again. Anatomicals’ Now You’re Ready To Face The World trio mask set is available for £3 at Superdrug. I paid £2 only for the set (Save 1/3 offer).